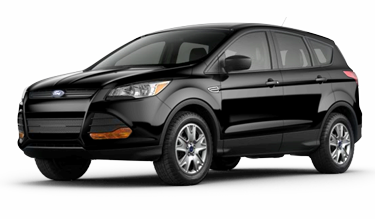 Are you looking for a capable crossover SUV designed to enable your California adventures? With abundant cargo space, state-of-the-art safety equipment, and balanced performance, the all-new 2016 Subaru Forester is the perfect vehicle for west coast life. There are plenty of vehicles to choose from but when it comes to finding the best fit, you can't overlook the 2016 Subaru Forester. Keep reading to learn about how the 2016 Subaru Forester compares to competition like the 2015 Ford Escape. Then, come experience the 2016 Subaru Forester for yourself at Carlsen Subaru. When comparing the design of the Subaru Forester and the Ford Escape, the Forester has the edge in aesthetics and versatility. While the Ford Escape appears at home in suburban environments, the Subaru Forester comes built for adventure with its 8.7 inches of ground clearance, flexible cargo space, and even an all-weather package to keep you safe and comfortable on road trips to the ski slopes. Not only does the Subaru Forester offer more rear leg room than the Ford Escape, you can fold the rear seats down to give the Forester maximum cargo capacity. If you're looking for a crossover that's agile but spacious, make the all-new 2016 Subaru Forester your first choice. If you're looking for a crossover SUV that offers the perfect balance of power and efficiency, make the 2015 Subaru Forester your first choice. With the standard four-cylinder horizontally opposed Boxer engine, the Forester cranks out 170 horsepower, besting the Ford Escape. For even more power, upgrade to the 256 horsepower turbocharged four-cylinder engine. Unlike the Ford Escape, the Subaru Forester comes standard with Subaru Symmetrical All-Wheel Drive, which grips the road in all conditions. The Ford Escape offers only one transmission option but with the Subaru Forester, you can choose between a six-speed manual transmission for more control or an efficiency boosting continuously variable speed automatic transmission. Offering the state-of-the-art in safety equipment and technology, the 2015 Subaru Forester stays on the cutting-edge. Both the Subaru Forester and the Ford Escape start with traction and stability control, antilock disc brakes, and a full set of airbags, as well as a rearview camera. 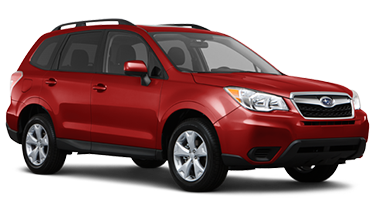 For more peace-of-mind the Subaru Forester can be upgraded to include the Subaru EyeSight system, which includes adaptive cruise control, rear-cross traffic alert and blind-spot warning, lane sway warning, and even forward collision mitigation. Other great tech that sets the Subaru Forester apart includes the Subaru StarLink in-vehicle technology, standard Bluetooth connectivity, available voice-activated GPS navigation, and more. Here at Carlsen Subaru, we take pride in being your premier, full-service Subaru dealer. As such, we want to be sure you know all that the vehicles in our new model inventory have to offer. If you're not looking for a special offer on an all-new Subaru, you can take advantage of the value pricing available on our certified pre-owned vehicles. We're happy to offer money saving deals on our Subaru maintenance and repair center as well as regularly updated Subaru parts specials. To schedule a test drive, give us a call at (888) 520-5916 and come see us at 480 Veterans Blvd, Redwood City, CA 94063, where our service is worth the trip from San Mateo or Fremont, CA.